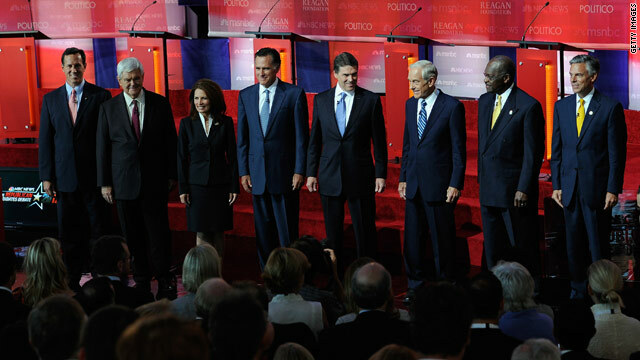 According to a report this week by Fox News, many top Republican presidential hopefuls are beginning to welcome plans to partially privatize Social Security, reviving a contentious issue that fizzled under former President George W. Bush when Democrats posed strong opposition. In 2005, Bush made a push to give workers the option to privately invest a portion of their payroll taxes to provide a supplement to government benefits. Lawmakers were reluctant to jump aboard as Democrats argued that Bush was trying to "end Social Security as we know it." During this time when President Obama is focused on his American Jobs Act, would-be rivals want to allow young workers to divert part of their payroll taxes into an account that would be invested separately from Social Security. Texas Gov. Rick Perry has raised the idea of letting groups, like state organizations and local union workers, opt out of Social Security altogether. These proposals seem to have been popular among conservatives who feel that workers could get a better return from investing in publicly traded securities. However, the majority of the candidates have been careful to say they would fight to preserve traditional Social Security for current retirees and those approaching retirement. Perry's camp is claiming that he is forcing the candidates to talk about an important issue rather than just throwing it aside. "Other candidates in this race were content on continuing to sweep it under the rug and continuing the status quo," Perry spokesman Mark Miner said. Despite Perry's rhetoric, he hasn't released a comprehensive plan to address Social Security's financial problems. It seems that Perry is not afraid to tackle unpopular issues unlike his peers, but one has to wonder if he'd be as bold if he wasn't at the moment, maintaining a comfortable lead in the polls. Obama mostly has avoided the issue in the first three years of his presidency, believing that Social Security has not been a major contributor to the nation's fiscal problems. Social Security is facing long-term financial problems mostly because aging baby boomers are starting to retire, leaving fewer workers to pay into a system that is supporting a growing number of retirees. In 1950, more than 16 workers paid into Social Security for every person who received benefits. Today, the ratio is down to three workers paying in for every beneficiary taking out. Social Security already pays out more in benefits than it collects in payroll taxes. The system has built up a $2.6 trillion surplus. But that surplus is projected to run out in 2036, unless Congress acts. At that point, Social Security will collect only enough payroll taxes to pay about three-fourths of benefits, according to the trustees who oversee the program. Nationwide, about 4 percent of workers, mostly state and local government employees are in alternative retirement plans. It seems like a logical choice to allow for a much higher percentage of Americans to be able to invest in alternative plans, however experts believe allowing people to opt out of Social Security, or to divert a portion into their private accounts, would drain even more resources from the system, at least in the short term. No matter how cloudy this issue has become, one thing that is clear is that Social Security will remain a hot-button topic of conversation for the GOP candidates throughout the debates and primaries.